UPDATE – Jake of Orlando Park Pass has pointed out that this expansion is not taking place near Back to the Future. It is to the left of the park entrance by the Space Fantasy roller coaster. This was not expected, but there is room for new development there. They also say that the park is attempting to get this new land open by 2020. The goal is to attract some of the visitors coming to Tokyo for the Olympics that year. The land is going to be the Nintendo version of Harry Potter Land according to them. The level of immersion and scope of the two lands are supposed to be similar to one another. I would like to note that this is not confirmed by the park at this time, although I do think it is accurate. My Take: I am very excited to see what Universal will do with Nintendoland. I expect to see a Mario Kart racing attraction, possibly similar to that of Radiator Springs Racers and Test Track as the headliner attraction. When I think of Nintendo, this is what I think of. I also expect to see some smaller family attractions like those found in Super Silly Fun Land at Universal Studios Hollywood along with a dark ride. I think a hand motion controlled Triotech Dark Ride would be the coolest idea for a dark ride in the land, although Universal and Triotech have not worked together in the past. After the opening of this, I expect to see versions of this land at Universal Studios Hollywood and Universal Studios Orlando. 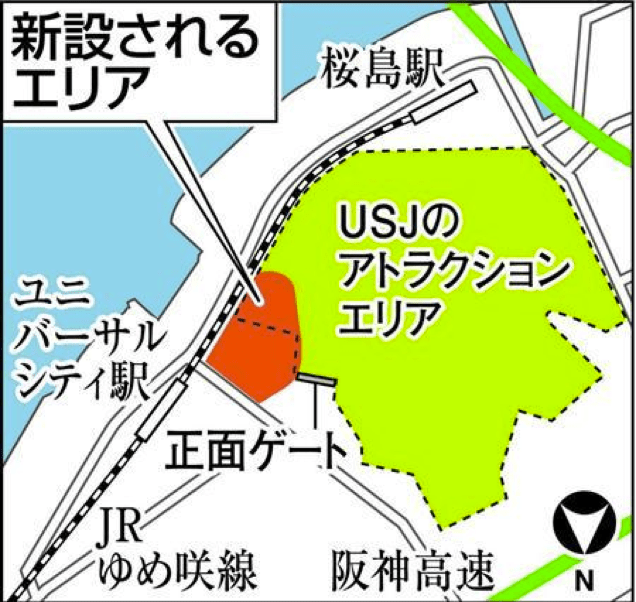 As more details are revealed on this Universal Studios Japan, we will make sure to provide updates! What do you think is going to come to Nintendoland? Let us know in the comments and be sure to follow Theme Parks and Travels on Facebook, Twitter, and Instagram for more information! You can also subscribe to our YouTube Channel! Don’t forget to give our west coast correspondent, Michael, a follow on Twitter and Instagram! Finally, as of now, Apple News should be working once again. Upon site transfer I neglected the feed, but now if you search “Theme Parks and Travels” in the app we should be found!